Gluten-Free Living > Gluten-Free Lifestyle > Gluten-free travel: Asheville, N.C. Looking for a new gluten-free travel destination? Asheville, N.C., nestled in the Blue Ridge Mountains, is a picturesque small town that puts a capital ‘S’ in Support. Visionaries and artists are drawn to this environment—not just the town, where community is king and small businesses rule the roost. This robust town of entrepreneurs is dedicated to supporting one another and giving back to the community as well as the region. 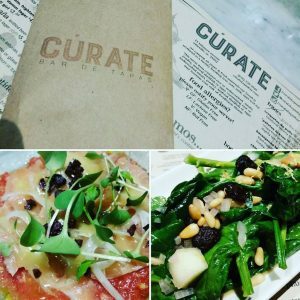 The eateries incorporate sustainability practices, forge lasting relationships with patrons and farmers, and work to become certified green. They love what they do and it shows at every restaurant, shop and café. I highly recommend staying at a bread and breakfast (B&B) when visiting Asheville. Yes, there are many hotels from which to choose, but you don’t get the hands-on service or Southern hospitality offered at a B&B. I stayed at the Sweet Biscuit Inn, owned and operated by Claudia and Christian Hickl, which is known for its three-course French breakfasts (including dessert) prepared by Claudia. At just over a mile out of downtown Asheville, it has seven spacious rooms, an ample front porch and a separate Carriage House. To say the cuisine is delicious severely understates it. Each breakfast started promptly at 8:30 and took a full hour to enjoy. My meals were modified to gluten-free versions of what everyone else was eating, so no missing out for me! Highlights included the egg basket with ham, wine and grain mustard sauce, raspberries topped with whipped white chocolate, and a smoked salmon, asparagus and goat cheese frittata with a side of puréed asparagus, lime and Parmesan. The cherry clafoutis—fruit covered with a thick flan-like batter and topped with powdered sugar—and the crêpes prepared tableside were simply fantastic. If you like honey, make sure to visit to the Asheville Bee Charmer and allow yourself time to peruse all the offerings. The owners, Jillian and Kim, truly love bees, honey and the natural benefits they yield simply by doing what comes naturally. The store pays homage to local and regional honey and also imports from all around the world. You’ll find a variety of products made from honey, including health and beauty products and candles, and honey-themed T-shirts. Don’t leave without saddling up to the honey-tasting bar to let the staff introduce you to a new blend. 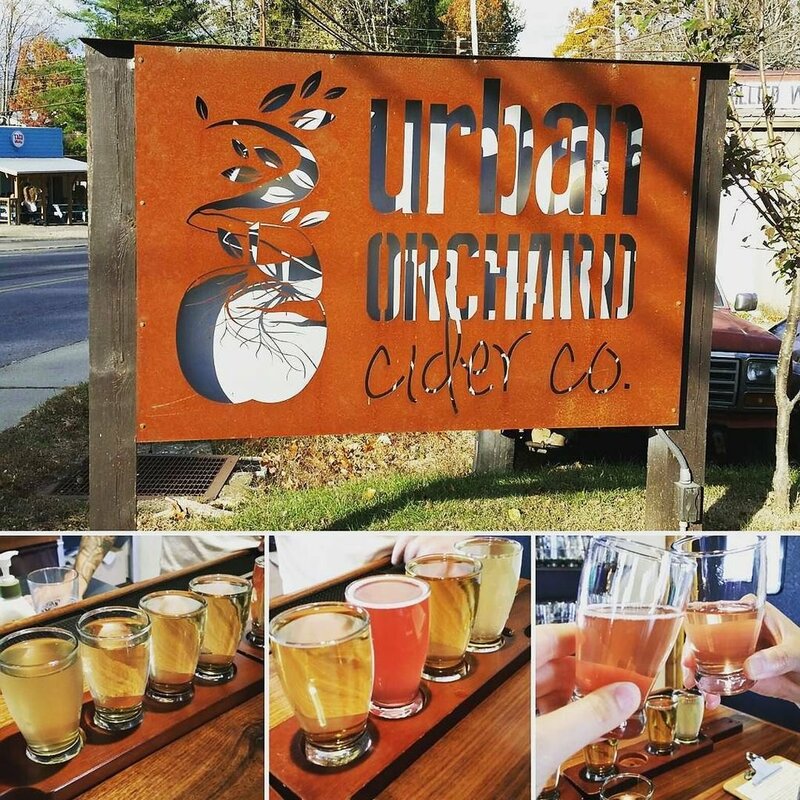 Get a firsthand look at one of Asheville’s craft cideries by scheduling a tasting at Urban Orchard Cider Co. and Bar in West Asheville. 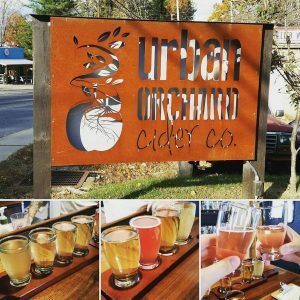 This family-owned and operated business gets its apples from Hendersville, N.C., and makes its cider onsite using a variety of yeasts to give each one a unique flavor profile. The cider ages for eight months to one year, which allows the flavors just enough time to combine and renders filtration unnecessary. After touring the cider production area, I bellied up to the bar to try a “flight” of dry to semi-sweet ciders. The semi-sweet were my favorite, but the real fun part was mixing them together. The menu features a creative take on bar food with meat and cheese plates, salads and sandwiches on gluten-free bread. Hit up Tupelo Honey Café or King Daddy’s Chicken & Waffle for breakfast any time. Tupelo offers Udi’s Gluten Free bread for its fried egg sandwiches topped with smoky apple cider bacon. Or perhaps the Southern Belle grilled cheese with brie, gorgonzola and house-made pear and onion marmalade is more your speed. The corn soufflé, cider pork black-eyed peas and goat cheese grits should also be on your hit list. King Daddy’s is the place to go for a plate of gluten-free and vegan fried chicken and waffles. The restaurant is a local favorite where the eclectic staff works nonstop to serve a crowd of hungry diners. The menu is full of gluten-free options, including two types of waffles (regular and cornmeal) cooked in a separate, dedicated waffle iron until golden brown. You also can’t go wrong with the tender and juicy fried chicken highlighted by a crisp peppery skin that is raised humanely and cooked separately. A trip to Asheville isn’t complete without standing in line to snag a seat and chocolate treat at the French Broad Chocolate Lounge owned by Dan and Jael Rattigan. French Board prides itself on being a bean-to-bar chocolate manufacturer. The lounge offers a little something for everyone, with an array of artisan truffles, dairy-free drinking chocolate, pot de crème, crème brûlée and a peanut butter cookie that was designed specifically for Jael when she was avoiding gluten. The chocolate is rich, creamy and slightly sweet with coconut milk serving as the dairy-free alternative. The drinking chocolate is intense, so don’t forget to order a glass of water. A quick lunch at Cúrate, known for its Spanish tapas, should be on your agenda. The menu indicates all of the gluten-free options, which include salads, cheeses, meats, small plates and entrées. I noshed on the sautéed spinach, apples, pine nuts, and raisins and a light and flavorful sashimi trout atop tomato fresco, olives, sliced onion and lemon. The Rhu, owned by chef John Fleer, is a café, bakery and pantry serving breakfast and lunch. It is an ideal place to enjoy a meal or cup of coffee, or pick up local pantry staples, artisanal products and housewares. The Rhu makes its own gluten-free bread using mainly sunflower seed flour that can be bought by the loaf or serve as the vehicle for a sandwich. I found the best way to enjoy it is on the Ploughman’s Platter, topped with Hickory Nut Gap salami, Benton’s prosciutto, Spinning Spider Creamery gabriel, Looking Glass Creamery chèvre, Lusty Monk mustard and house-pickled vegetables. 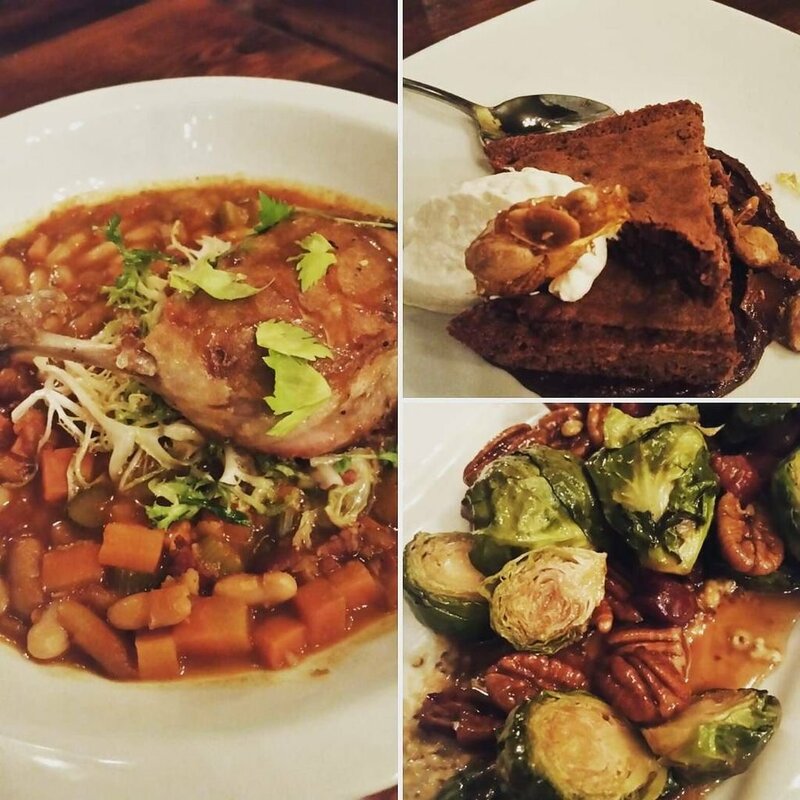 For dinner, I visited Buffalo Nickel in West Asheville. Diners can choose between the formal dining area downstairs or the laidback atmosphere of the second-level tavern, which features pool tables as well as a separate bar and menu. Opting to dine downstairs, my meal of comfort food with flair consisted of Brussels sprouts with maple, nuts and cranberries, a duck confit with white bean and carrot ragout, and a flourless chocolate cake with chocolate peanut butter sauce. The food isn’t fussy, but is prepared with a distinct finesse. A trip to Posana Restaurant is mandatory if you have celiac. 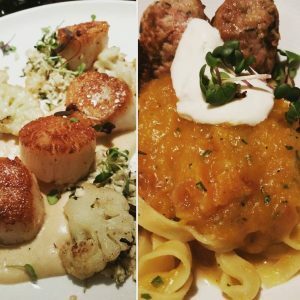 This restaurant boasts a dedicated gluten-free kitchen and is accredited through the Gluten Intolerance Group of North America. Everything from bread through dessert is made from scratch with fresh ingredients, including some from their own urban garden in West Asheville. I started with the homemade fettuccini topped with squash purée, spicy Italian meatballs and goat cheese. Bread service featured toasted rosemary sesame breadsticks with olive oil and butter. And the stars of the night were the perfectly seared scallops with roasted cauliflower over a hearty but light purée. I couldn’t pass up the carrot cake topped with a full inch of cream cheese frosting and cake crumbs. This decadent dessert was completely unrecognizable as gluten free—as was all the Posana cuisine. Asheville offers a fantastic destination for those dining gluten free. The restaurants and cafés work to incorporate local and regional ingredients whenever possible to create cuisine that is fresh and made from scratch—a perfect environment for modifying dishes due to food allergies or intolerance. Unfortunately, I didn’t have time to visit Asheville’s ever-growing art scene, the iconic Biltmore Estate or the scenic Blue Ridge Parkway on this trip. Whether you are there for a short visit or an extended stay (totally recommended! ), the town has its arms open wide to ensure your gluten-free needs are not only met but exceeded. Gluten-Free Living News Editor Jennifer Harris is a gluten-free consultant and blogs at gfgotoguide.com. Clafoutis photo courtesy of Sweet Biscuit Inn. All other photos by Jennifer Harris.